With sustainability one of the major focuses of architecture over the last decade, designing environments which not only look beautiful but use natural sustainable materials has become a challenge many architects must overcome. 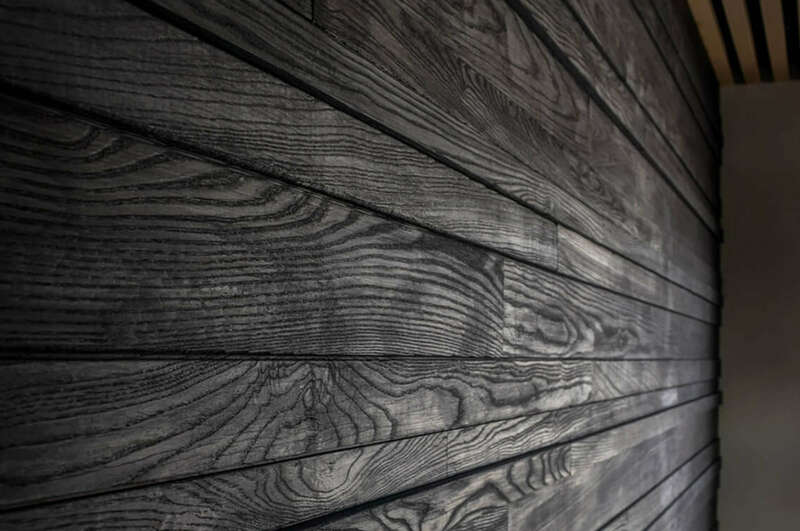 The use of sustainable building materials such as timber is one of the most effective ways designers can incorporate sustainability into their design. Principles such as biophilic design are based around using natural materials in architectural design, many of which are available sustainably sourced. In Australia, projects can apply to receive certification in one of many sustainability ratings. One of the most respected rating systems is the Green Star Rating. Boasting over 1700 rated projects, Green Star is seen by many as the standard for Australian sustainability certification. 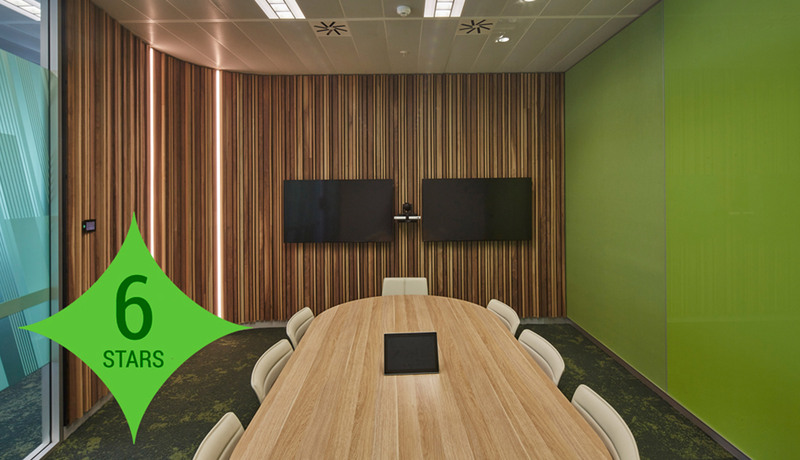 37% of office space in Australia is Green Star Certified, showcasing the rating’s value in the Australian design community. The Green Star rating system gives a score from one to six stars, six being the highest and most sustainable. Factors which influence this rating include materials used in the project and processes used on site. 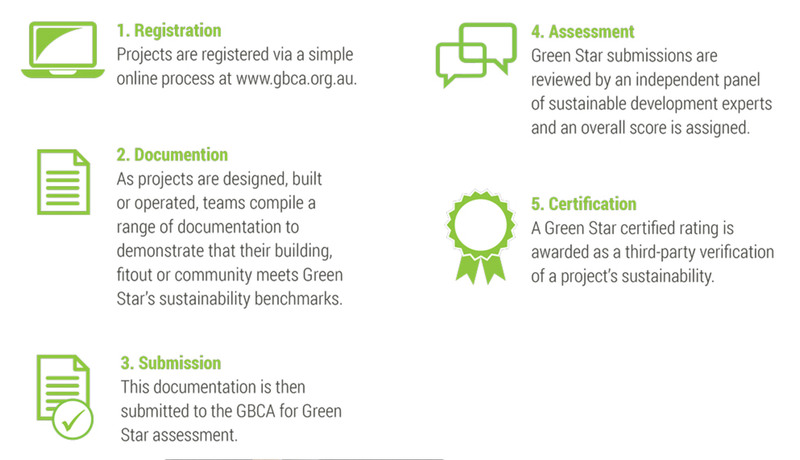 The process for a project receiving a green star rating is outlined in the 5 steps below. The Barangaroo South Precinct by Lendlease is an amazing example of world-class sustainability in the Australian construction sector, receiving six Green Stars in the communities rating and an unprecedented 104.98 out of a possible 110 points. Sculptform is proud to have been involved in the project by supplying timber battens for the KPMG offices at Barangaroo South. This use of natural timber battens created a natural looking feature while ensuring the sustainable goals of the design were met. Read more about how Barangaroo South achieved such an amazing sustainability rating here. Using certified, sustainable timber is a great way to build Green Star credit toward your Green Star certification. Sculptform offers sustainable timber complete with certification from several regulatory organisations. Architects designing for projects within Australia typically require timber which is certified through one of several governing bodies. This certification guarantees that timber has been sustainably sourced and is tracked through a methodology named Chain of Custody (CoC). The universally adopted system for ensuring timber has been sustainably sourced is known as Chain of Custody. This system ensures suppliers do not sell non-sustainable timber as certified sustainable timber. Each company which deals with the timber is given a unique certification number which identifies them as certified to onsell the timber while retaining its sustainable status. Several governing bodies keep strict records of all sustainably certified timber in Australia, each with its own chain of custody system. 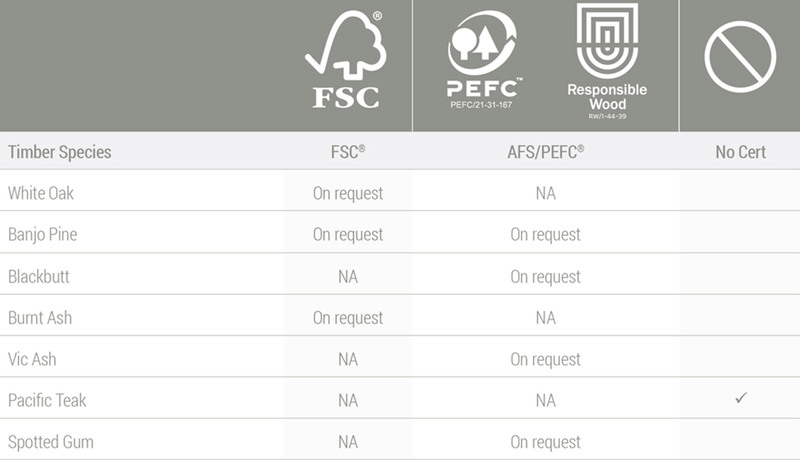 Sculptform offers sustainable timber under the following certifications, which are the most common options within Australia. These certifications are reviewed annually through rigorous reviews by independent auditors. The Programme for the Endorsement of Forest Certification (PEFC) is the world’s largest forest certification system. PEFC is an umbrella organization that works by endorsing national forest certification systems developed through multi-stakeholder processes and tailored to local priorities and conditions. 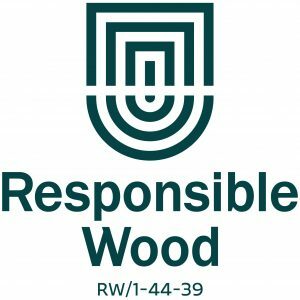 The Australian arm of PEFC has recently changed its name from the Australian Forestry Standard Ltd to Responsible Wood. The Australian Arm of the PEFC network, Responsible Wood is a not for profit organisation dedicated to promoting sustainable forest management. 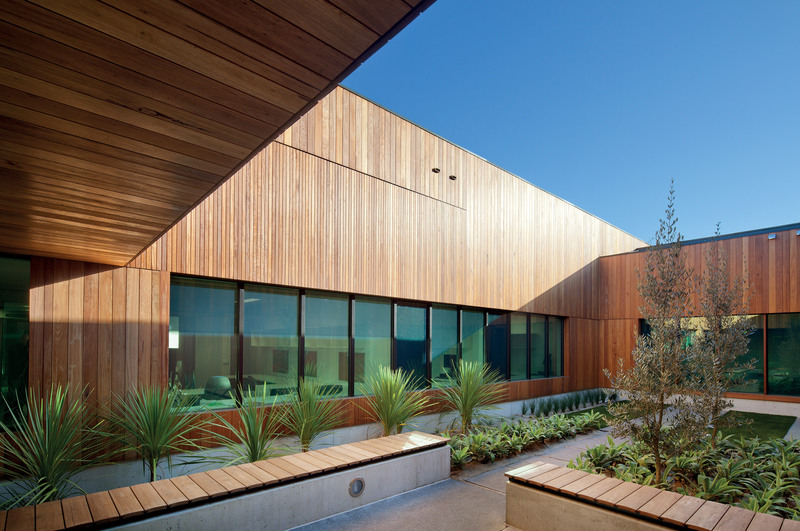 By far the largest certifier of Australian timber within Australia, Responsible Wood certification applies to a large part of the sustainable timber at Sculptform. Certifying over 24 million hectares of forest within Australia, Responsible Wood offers certification on uniquely Australian timber species such as Spotted Gum and Blackbutt. 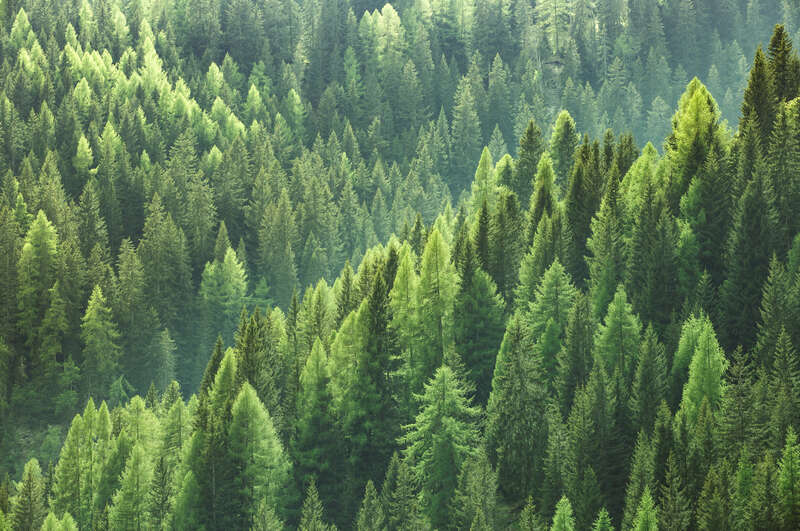 The Forest Stewardship Council® (FSC) certification is internationally recognised as the most rigorous environmental and social standard for responsible forest management. FSC Australia is a national office of FSC International that ensures the use of this trusted trademark is properly enforced in Australia. To maintain independence, FSC-accredited auditors carry out the actual certification. Sculptform offers seven timber species, each with its own certification options. When specifying certified timber, it is important to ensure the right certification system is used. Each species is only available in some certifications so please check our table below for your specified species.